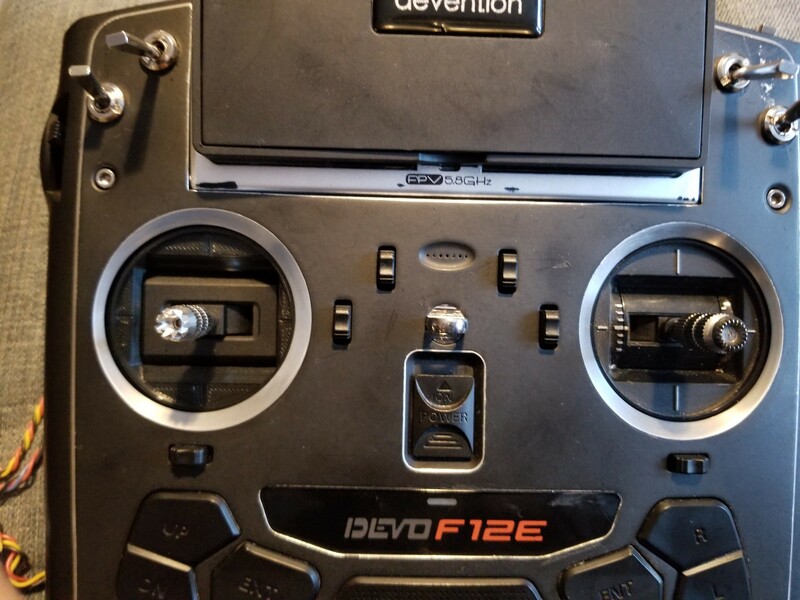 I feel like I can't possibly let a month pass by without ordering something drone-related from Banggood, and since this time - amazingly enough - I actually don't need any new motors or frames or other spares I've thought of adapting FrSky hall-effect gimbals to my Devo 10. I'm not particularly dissatisfied with the stock gimbals, but being that the Devo is my primary transmitter (and I like DeviationTX so much that if the Devo 10 died tomorrow I'd probably buy another one) I'd like to make it as good as it can possibly be. Now, I don't have a 3D printer nor any way to fabricate adapters of any kind, so this is going to be a total hack job from a structural and aesthetic point of view. 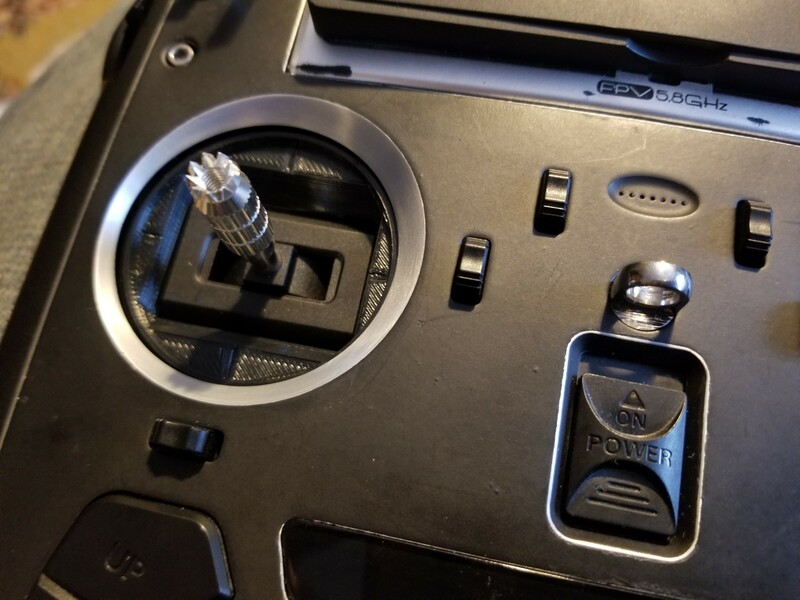 My idea is to cut up the gimbal supports as needed, stick them in and then secure them in place with a ton of two-part epoxy, silicone and/or and melt-glue. I'm not above cutting up the Devo's casing itself if required. 1) are they electrically compatible? I've seen a thread by someone who adapted them for a Devo 12S so I'm assuming yes, but it doesn't hurt to ask. 2) do I get M7 or M9 gimbals? I understand the difference is only in size - which would best fit the Devo 10's casing? 1) M7 or M9 gimbals electrically compatible with any transmitter. 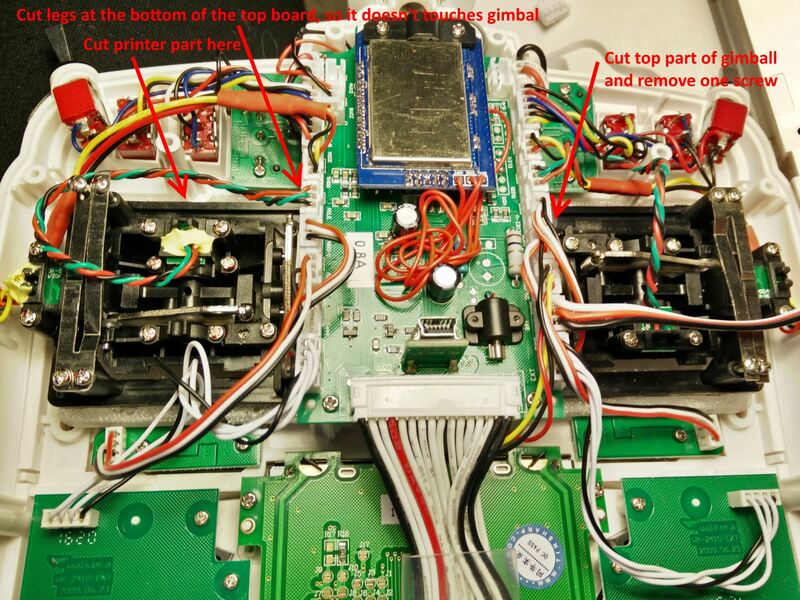 2) Both M7 or M9 gimbals have the same dimensions, but different mounting holes at top plate. I think they can't be fit to other Devo transmitters, at least they can't be fit to Devo 8.
someone has to try this! Did it on my 12s thanks to richardclli posting this thread and the files to get the parts printed..I just uploaded them to 3dhuds and got them printed for very cheap.. I have made this mod and i can say it's a great mod ! Would you have pictures of this? I'm very interested. What gimbals did you use? Did everything fit fine? any further development on the halls for devo 10? Sucesefully installed gimbal on Devo 10. Had to trim some plastic from gimbals, and rotate all 4 magnets. Im currently doing this to my f12e had to make changes to richard's stl file so it fits the different mounts.